Have you noticed how many books turn into movies? And not just novels … picture books, too. Instead of looking at the glass half empty (kids lamenting movies ruining books) think about what’s in the glass – kids talking about a book they READ. Before you go any further, we highly recommend reading Movies Can Be a Teacher’s Best Friend by reading teacher Tess Alfonsin at the Reading Countess. 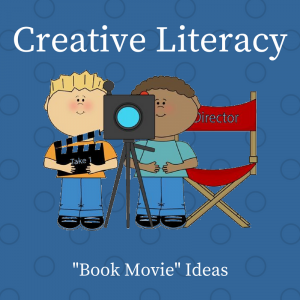 Because there are so many ways to use book-movie combinations, we have decided to add a page that gives you ideas on ways you can use them at home. These are not reviews, just ideas on books you might read use in combination with movies, or vice versa. Check out our Books that Star in the Movies page.